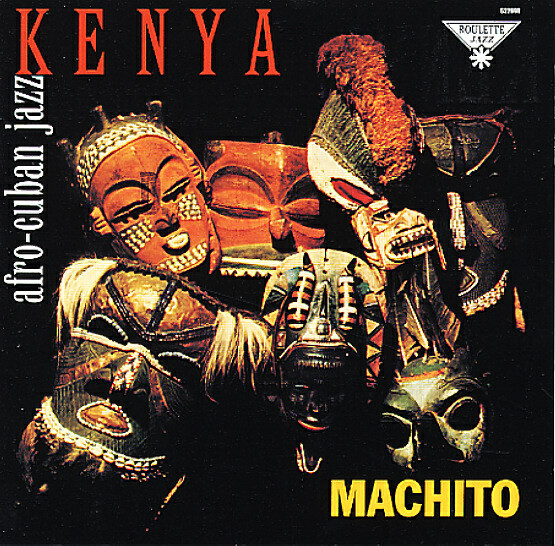 A real corker from Machito – a set that's got a lot more bite and earthy fire than some of his other albums of the 50s – as you might be able to guess from the cover and the title! The record definitely lives up to the Afro-Cuban promise on the front – thanks to very hip arrangements from Mario Bauza and AK Salim – who balance core rhythmic elements with some great modern jazz solo contributions – from key players who include Johnny Griffin on tenor, Cannonball Adderley on alto, Joe Newman on trumpet, and Eddie Bert on trombone – all coming together under Machito's leadership with a sound that's much bolder than most of his work in a straighter Latin mode! The album's a key meeting of styles – as powerful today as it was when first recorded – and tracks include the great "Congo Mulence", a very tight groover – plus "Turuato", "Frenzy", "Cannonology", "Minor Rama", and "Wild Jungle". © 1996-2019, Dusty Groove, Inc.